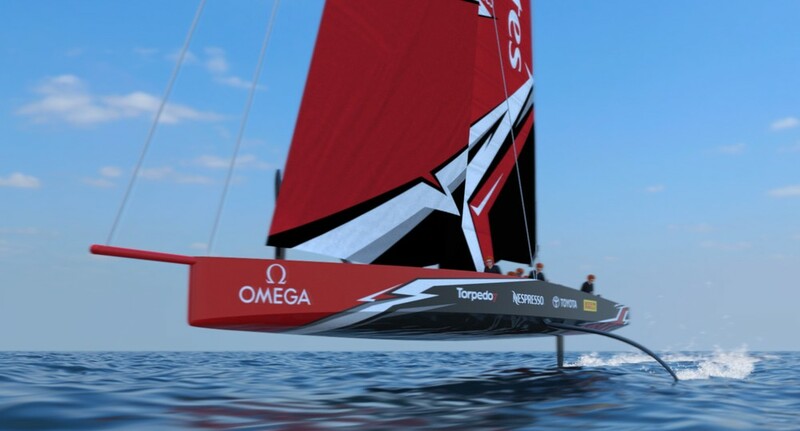 In an interview with the website Yachtracing.life, the ETNZ sailor/coach Ray Davies revealed that there had been problems with the AC75 foil-arms themselves. And yes, the rumours were true and there was a setback. The responsibility for the few one-design components had been split, with Luna Rossa in control of the foil-arm itself. When Team New Zealand tested those foil arms they fell below the design specification. Davies claimed that the Team New Zealand engineers had ‘sort of front-footed that’ and had come up with a new design. The old design had been binned and all the teams now agree on this new structure and build method. With the problem apparently resolved, the new boards were now under construction and they would see how the next 12 months played out. In the original reports of foil-arm problems, Peter Montgomery had suggested that the launch date would have to be pushed back by three months, to June 2019 – he might be right on the button! The first opportunity for all of the teams to race will be at the first America’s Cup World Series event which will take place in Cagliari, Sardinia in October 2019, but no date has been released for the proposed second event or if that will go now ahead. The Prada Cup – the Challenger Selection Series for the 36th America’s Cup – will take place in Auckland (NZ) in January-February 2021. The round robin series will determine which team will compete against the Defender, Emirates New Zealand in the America’s Cup Match from 6-21 March 2021. AC36 – Better Late Than Never . . .